Karen Schaefer is a licensed psychologist in New Mexico and is currently serving as director of New Mexico State University Counseling & Student Development. She developed the animal-assisted therapy program at the Counseling Center in 2000 and has provided animal-assisted interventions in her clinical work and supervised practitioners and trainees learning about the application of AAI with their clients. Her clinical work includes extensive experience in working with trauma survivors, specifically, individuals who experienced abuse as a child and/or an adult. Additionally, she has worked with offenders of abuse, including individuals who have committed animal abuse. She has published articles and presented on the human-animal bond, grief associated with the loss of a companion animal, the use of animal-assisted interventions in the college setting, the impact of witnessing animal abuse and the ethical challenges in working with individuals who have committed animal abuse. She is currently working on a qualitative study of the long terms effects of witnessing animal abuse as a child. 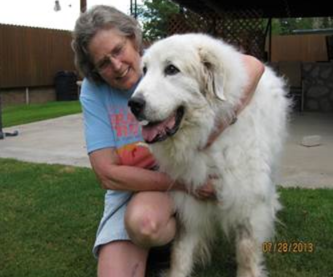 Both she and her husband, William Corbett, started “Murphy’s Fund,” a fund devoted to assisting low income individuals residing in Doña Ana County, New Mexico who wish to provide hospice services and euthanasia at home for their companion animals.